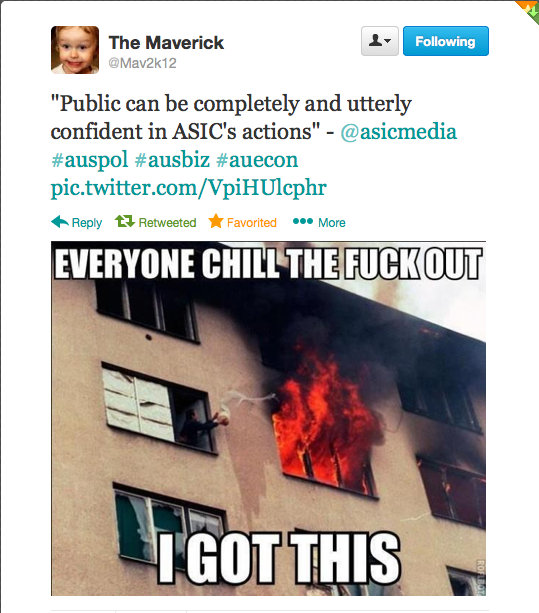 ASIC is in full ‘fire control’ mode, as a result of its astonishing failure — begging the question of complicity — in the RBA corruption scandal. Who REALLY owns the Reserve Bank of Australia? Prior to 1959 the Commonwealth issued and printed its own money and had control of the printing of money. However after the 1959 Reserve Bank Act, the Reserve Bank was established as a stand alone independent foreign ADI, which took over the printing of money and lent the money it printed to the Commonwealth at interest. So instead of the Commonwealth printing its own money, we have a foreign body corporate printing our money and lending it to the Commonwealth which the Commonwealth needs to pay back! RESERVE BANK ACT 1959 – SECT 75 Agents etc. “…..But I think for the most part it is a drama that we are seeing. I think that in large part this has been done to put pressure on Obama not over his Health Care Bill but rather because of the fact that Benjamin Netanyahu is not getting the wars that he wants in Syria, in Iran.